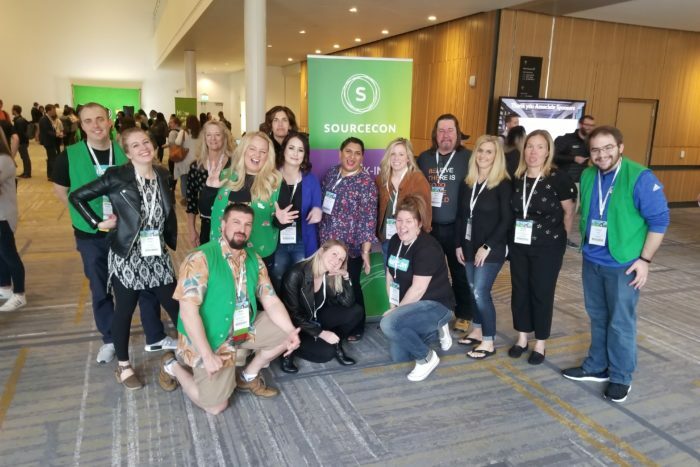 It was a packed house at SourceCon this week in surprisingly-good-weathered Seattle. Here are a few things I heard in the hallways, session rooms, at lunch, and at the roundtables. Next up for Sourcecon: Amsterdam and then Atlanta (both here). Glen Cathey asked attendees in a show of hands who’s an introvert, and then did the same asking who’s an extrovert. Looked like it came out around 50-50. Speaking of Cathey … for Angie Verros, introducing him was a huge honor; Cathey was one of the first people she got to know in the industry, and a long-time favorite of hers. Two of Jeremy Langhans’ favorite tools: LightShot and ZAPinfo. Tuesday’s salmon-chowder soup: big hit. Prestige Healthcare has the difficult task of recruiting people for the senior-living area. It’s getting creative, including making videos describing its jobs like for nursing-leadership roles. Vanessa Rath is working on bringing new tools and methods to South Africa. The main tools in use now in South Africa: “LinkedIn and job boards,” she says. Yello, at its booth, streamed three hours of a live feed of the greatest day of the year, including a last-second finish in the Auburn-New Mexico State game. Brilliant! A third-party recruiter is contacting candidates in different ways depending on what he perceives to be their personality, based on what he sees online. If they’re “dominant” or “alpha,” for example, he’ll get right to the point; in other cases, he’ll go softer. He says he “loves” Humantelligence and is also looking at DeeperSense and Crystal Knows. On the other hand … Jason Roberts asked this in a live poll: “Are you worried that AI will cause you to lose your job?” No, says 91 percent of attendees. “Will AI have a positive effect on talent acquisition?” Yes, said 81 percent. More in the PDF I’ve embedded here.